Most pragmatic car buyers in the market for a used vehicle will conduct a thorough inspection of a car before making a purchase. They may bring a friend with them who knows more about cars than they do, or even take the car for a pre-purchase inspection by a trusted mechanic. Despite taking every possible precaution, the nightmare scenario can still happen: a car that to all who examined it appeared to be in excellent condition turns out to need hundreds of dollars in repairs, and can’t seem to be fixed despite repeated visits to the auto shop. If this is the scenario in which you find yourself, you may be feeling frustrated and wishing you could undo your purchase altogether. You may be wondering whether California’s Lemon Law applies to used cars as it does to new cars. 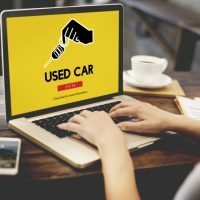 Fortunately, some used car buyers will be able to take advantage of the Lemon Law to obtain a buyback of their vehicle. Used vehicles will be covered by the protections of the California Lemon Law when the car remains covered by its new car warranty. In other words, if there is still time left on the car’s original warranty when it was sold used, then the subsequent owner may still take advantage of the Lemon Law as long as the warranty covers the car at the time of purchase and the vehicle has repairs under factory warranty. If the defective vehicle was previously purchased by the manufacturer as a Lemon Law buyback, then the buyer will be covered by a one-year factory warranty covering any defects that arise even when the manufacturer’s original warranty has expired. Lemon Law buyback vehicles must state in their titles that they are Lemon Law buybacks, and they must bear a lemon sticker on the door. California law states that these vehicles may not be sold “as is.” Even if the dealer says that the car is being sold “as is,” the buyer will remain covered by the protections of the Lemon Law. Speak with a lawyer if you believe you have the right to a buyback after purchasing a defective used car. If you’ve purchased a defective vehicle in California and want legal help getting a buyback, cash settlement, or refund of the money you’re owed for the costs of repairing your car and finding alternative transportation, contact the knowledgeable, experienced and aggressive California Lemon Law attorney Nick Nita for a consultation at 213-232-5055, or toll-free statewide at 877-921-5256.